Athena posing in the field. 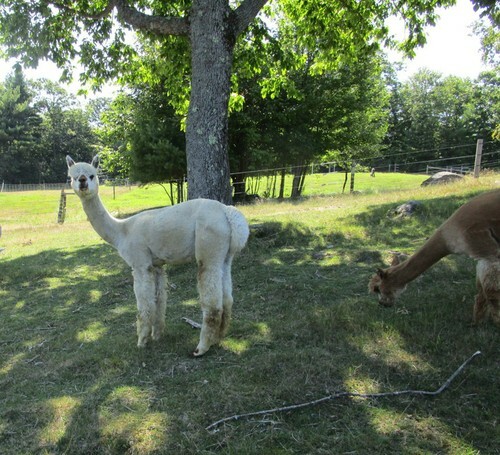 We are now primarily a fiber farm of registered huacaya alpacas and no longer breed them. We bred for quality fiber and a variety of colors, including white. We started out with four females in 2001, added a few herdsires and a couple of more females over the years, sold a number of alpacas and now are at a herd size of 23. 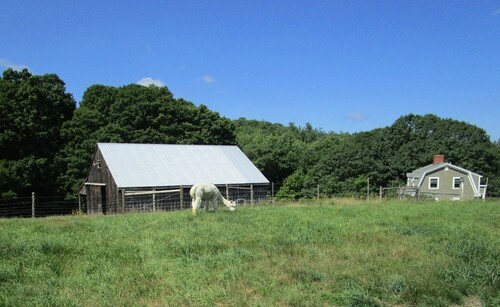 We love to talk 'paca and encourage people to visit our beautiful farm and commune with these lovely, shy animals. The upside to the aging of our industry, is that alpaca prices have come down and now they are more affordable than ever. We have priced our animals that are for sale at what we feel is reasonable, and hope that the lower prices will enable more people to become part of this wonderful industry. We have a variety of colors and price-points. Check out our sales list on this website. 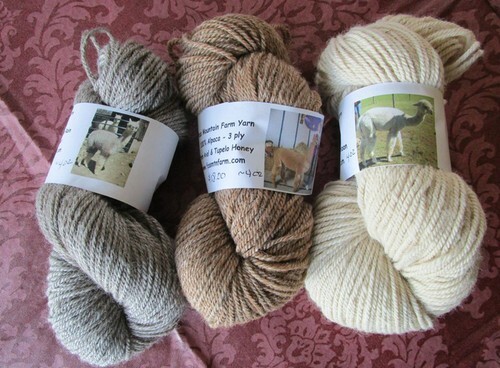 We also sell yarn from our own animals and products from the New England Alpaca Fiber Pool and from Peru. Check out our online farm store on this site! 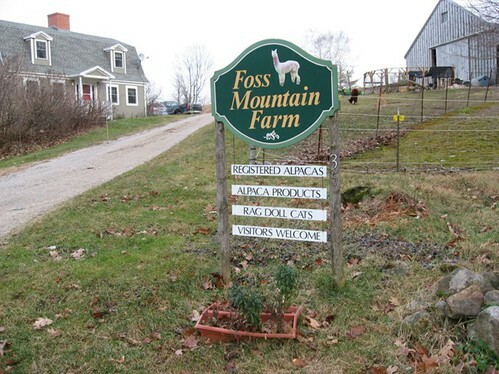 Or, come visit and see what the 'alpaca lifestyle' is all about. You can also visit with our wonderful Ragdoll cats as well! 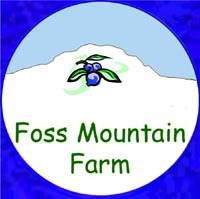 Come visit our farm and enjoy the beautiful location on the road to Foss Mountain. Our alpacas enjoy green, hilly pastures and green grass during three seasons and are surrounded by sparkling snow paths in the winter.